He knew sorrow. He knew pain. He knew sacrifice. But he never knew anyone like her. She knew hardships. She knew strength. She knew determination. Yet she never knew anyone like him. __________________ Her life was built in the shadows, never being able to play with and act like the other wolves when she was a child. Instead while they caught balls and threw sticks, she trained unrelentlessly like a warrior and studied harder than any other wolf would. When her peers started to shift, they would boast and show off, but instead she had to learn how to control herself. When her friends started to become warriors, healers, scholars, she had to stay pent up in the pack house. While the other wolves found mates, she found loneliness. She would never be normal, because Aurora was stronger than an alpha. At a young age, he under went a heart breaking tragedy that changed him for life. With the pack have fallen onto his shoulders, he took on leadership and strategy, working himself to the core. He gave up personal contact, like friends and family. He scoffed at the idea of a mate. They all seemed puny and immaterial to the sacrifices he has had to make. Not being able to experience a real childhood made him into a ruthless, cold-hearted alpha. Even still, he would do anything to protect his pack. 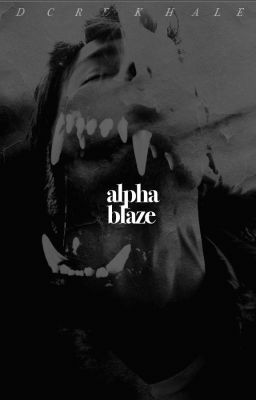 Highest Ranking: #2 Contest Winner: @Brookylove Copyright © Alpha Blaze. All rights reserved.